The stars of The Second Mango and Climbing the Date Palm wish you a sweet new year! art by Rebecca Schauer. Best wishes from a happy, grateful author! 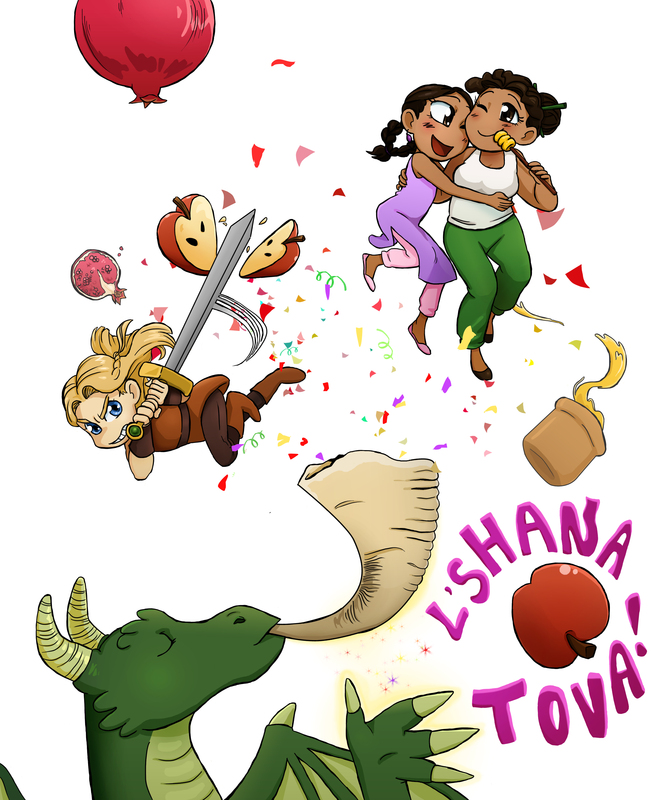 This entry was posted in Uncategorized and tagged Art, cartoon, Dragon, dragons, fairy tales, fantasy, fantasy art, femslash, high holidays, jewish, jewish holidays, jews, judaism, lesbian, lgbt, lgbtq, queer, rosh hashanah. Bookmark the permalink.